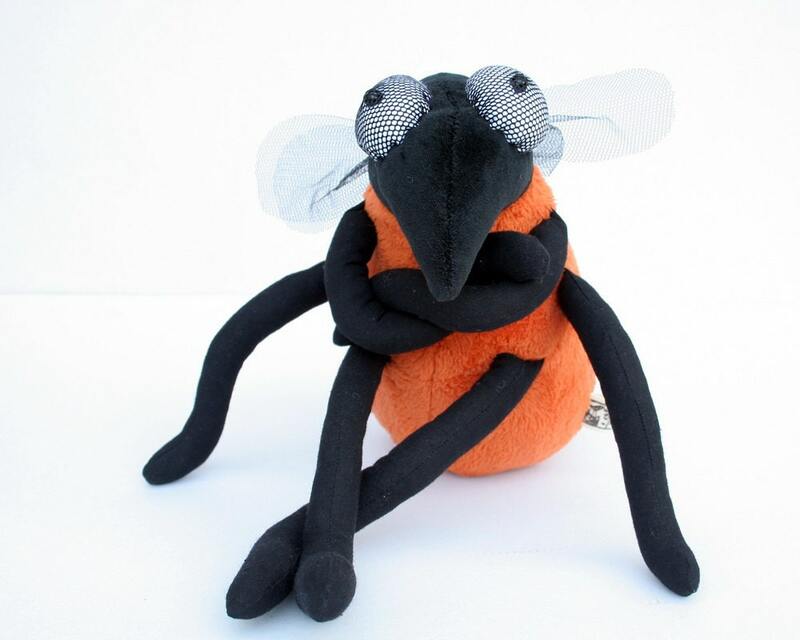 This soft little Fruit Fly plush toy can sit on your bed or hang over you if you want - he is always a funny and colorful friend. 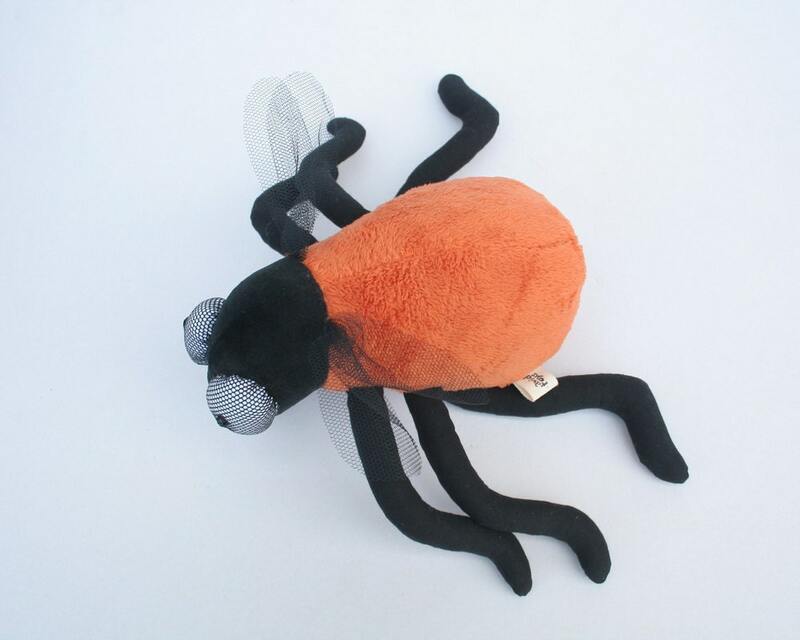 His body is made of soft and vibrant orange plush, Head and six legs are black. 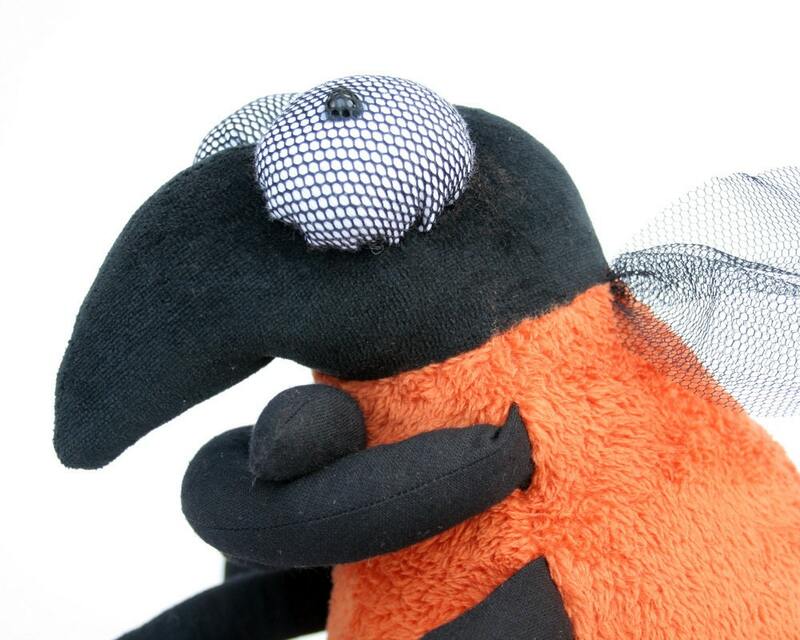 His wings are made of tulle, such as the cover of his huge eyes. I hesitated to make this purchase because of the overseas shipping costs, but I’m so glad I did. My 30 year old daughter loathes fruit flys around the fruit basket in our kitchen, so as a joke I bought her a stuffed one for Christmas. !! 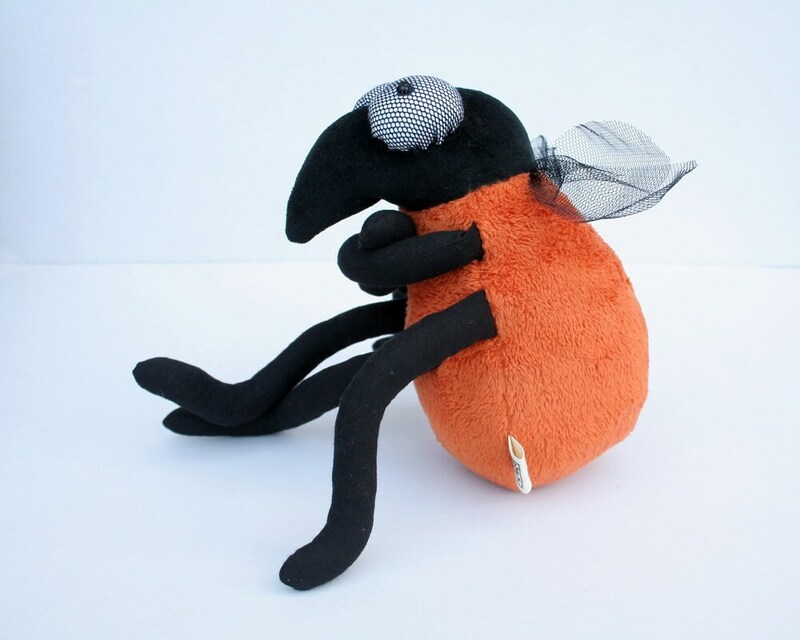 I searched and this was the only stuffed fruit fly available. It is adorable and extremely well made. The bugs character is really expressed in the design and colors. I am so pleased with it. I coupled it with a book called (I think) the fruit fly’s picnic from a small private website. I thought my daughter could read it in her kindergarten classroom while the kids passed around the stuffed fruit fly!!!! I LOVE this fly. When you look at it, it makes you laugh! Well worth the money. On a personal note, the woman who makes it gave excelkent customer service when I texted with questions. 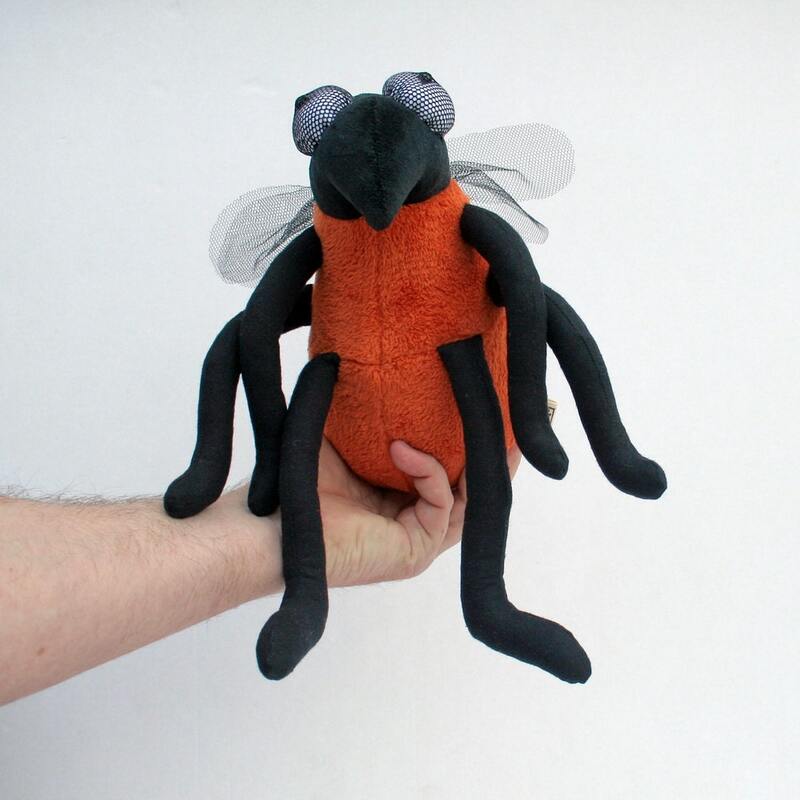 This little fruit-fly is so loveley made, we are so glad, that we ordered this wonderful guy ! And also his friends the mosquito and the green-fly, all are so sweet ! great workmanship, very nice materials, original, soft and cuddly, I am a great fan.